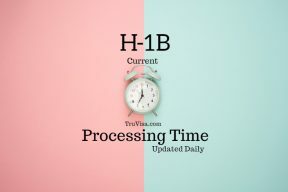 Primary Application request(I-129) for H1B extension still shows status as “Name was Updated” as of November 06; 2018. Could you please have your opinion on my case, what should I depict from this and how long should I wait before putting in a SR. It is possible that your H1B approval is on the way too. Today I received both H1B and H4 approval notices from my Attorney dated 08th April 2019. But USCIS website still not updated for Primary Extension Request. Great. Thanks for sharing your case update. I appreciate it. Got update on 4/12/2019 by saying “case transferred to another office”. Is Nebraska center transfering the cases to other service center? I have got the same update today as well. Not Sure, Let Anil give his views on that. USCIS has not issued any public announcement about case transfers yet. But, if they are doing it, then, we may hear it sometime today by evening. Dates for Nebraska Centre are not changed from last one week. Also USCIS visit is becoming common these days? USCIS visits have increased in the last couple of years to check and reduce fraud. My h1 extension approved on 10-apr-19 but my employer prepared the premium upgrade petition and sent to uscis on the same day. Both happened in same day. Will uscis refund the premium processing fee as mine was approved in regular mode? Your question about H1B premium refund if application already approved has been added to our forum and answered there. Hope you are doing good, even in past i have got great response from you. I Have applied for Extension + Amendment on May 08th 2018. Still my latest status shows RFE response is received. 1) how many days it takes for response once the RFE is submitted? 2) If i dont receive a positive response, in how many day i have to leave the country? 3)From India can i apply again for H1B with different employer? 4) What are my next options to come back to US? Your question about H1B RFE response time has been added to our forum and answered there. Thanks a lot for all your information. Have filed for change of client and location Amendment on October 1st 2018 under normal processing category and attended the interview with my original base petition which is valid till June 30 2019 and currently in USA. Its been 190 days till today(i.e. 04/10/2019) still the status shows same that UCIS has received my petition on so and so date. What is the normal time lines these days for getting any updates from the UCIS. Processing times are given above for each center. I have raised a request for H1b visa and amendment extension request. And my visa and I94 is due to expire on 30th June 2019. The Amendment case will be filed by the company in the next 10-15 days. 1. After my I94 and Visa gets expired will I be able to stay in the USA? as I have raised the Amendment before these expire. 2. If so how long is the legal duration I can stay? 3. On some sites I found out that I would be having 240 days window. Is it true? 4. If true, will this duration of 240 days start immediately from the date I receive the Amendment receipt or after the expiration of visa or I94? Your question about H1B amendment working after 240 days has been added to forum and answered there. I have gone through all you comments for various cases and they are really helpful, I really appreciate it. I have a similar situation on my h1B transfer + extension with a new employer, it’s almost been 9+ months since my employer filled my petition. It’s has been more that 100+ days since the RFE has been responded and the status is still pending, could you please advice whether I need to wait longer or do I need to upgrade to premium. What are my chances in this type of situation ? I have requested my employer to raise a SR this week but not sure what he is up to. I suggest to raise a service request first. My H1B Extension, H4 Extension, H4EAD(First EAD) are filed concurrently on 02-N0V-18 on Nebraska, Since i enabled Notification on uscis.dhs.gov for all the cases, I got a notification yesterday for H4 EAD as ‘On April 8, 2019, we ordered your new card for Receipt Number LIN19XXX…’ but there is no update on my H1B or H4 when i checked online. Its not a glitch. Your H1B and H4 approval are also on the way and its just a matter of time. Hi Anil, my petition was filed with Nebraka Service Center on Oct 26 2018. We received notice of approval for both mine and wife’s h4 on March 28th, with the notice date march 21st. But im yet to get the petition copy – also site is not updated. When can I expect the hard copy? Can I raise the SR since it’s past 5months 13days? Approval copy can take 7-21 days to arrive by USPS mail.